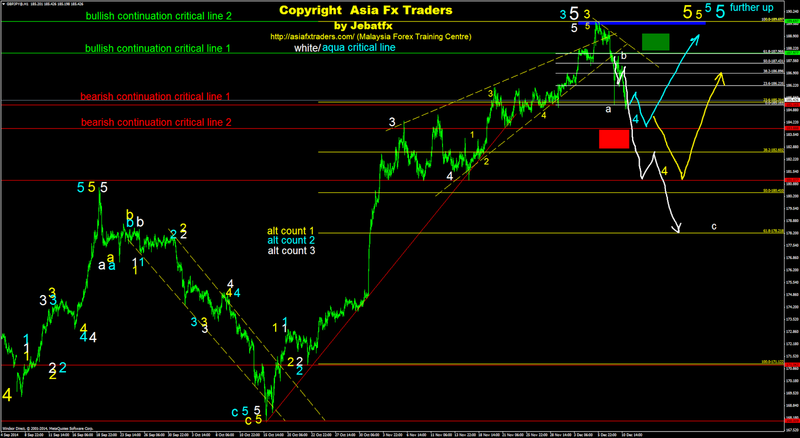 Preferably, I believed market in progress either to complete wave 4 in yellow or corrective wave c in white. A further breakout toward the bearish continuation critical line 1 and 2 would bolster to this scenario. Otherwise, we may see market to bounce back to perform wave 5 in aqua. Good luck.